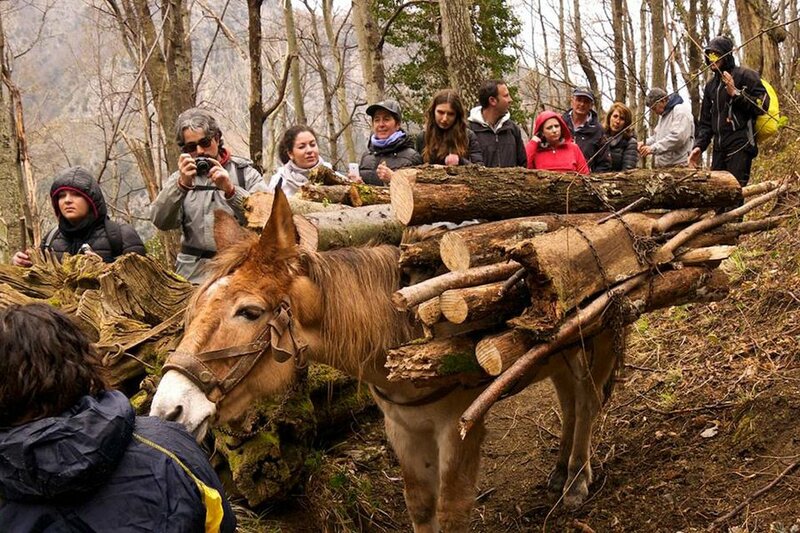 Donkey, donkey! Photo courtesy of Il Vallone Delle Ferriere. Annarita Aprea is a local fixture on the Amalfi Coast and mouthpiece for Casa Angelina, a gorgeous retreat tucked away in the quiet town of Praiano. We asked her to share her favorite area local explorations and recommendations. AMALFI COAST – I was born and raised in the Sorrento, just the other side of the coast from Praiano, and have experienced that which makes both Praiano and the Amalfi Coast so special for those who live here and those who are eager to explore. There's not much difference between the two, and with so much to see and appreciate, there's room for everyone. Forget the car. Put on a pair of walking boots and make your way along the spectacular cliffside footpaths that were once ancient mule tracks. Until the SS163 was built, these paths were the only viable routes existing between the towns dotted along the Amalfi Coast. Walk through sweet-smelling lemon orchards and tiny vegetable patches stolen from the mountainside under the watchful gaze of the occasional goat or donkey, past ancient hermitages and convents to reach panoramas which will, quite literally, take your breath away. To reach Pontone, take the Sita bus which runs between Amalfi, Ravello, and Scala. If you have the stamina, arrive by foot from Ravello. Arrival by boat — the chicest way to travel. Photo courtesy of Princessa Positano. Best seat in the house. Photo courtesy of La Conca Del Sogno. 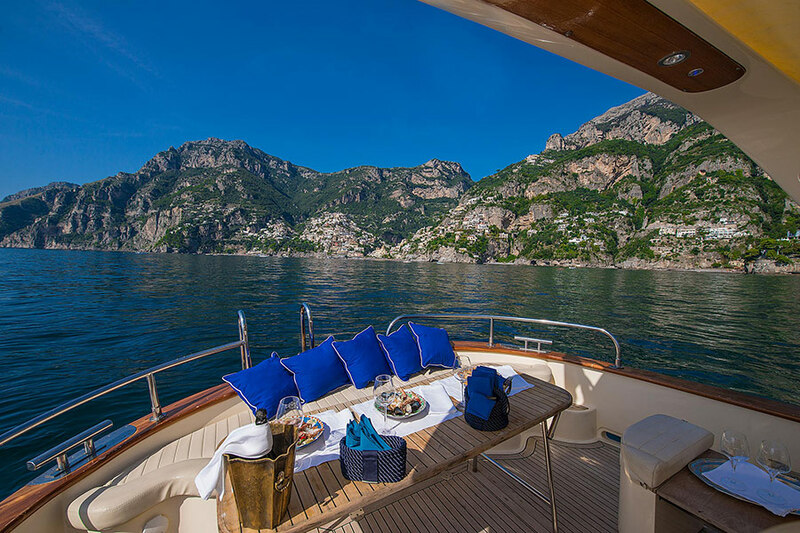 I like to treat myself to private day-long tours on board a typical Neapolitan gozzo with an expert skipper, heading toward the famous destinations along the coast: Nerano, Positano, and Amalfi. 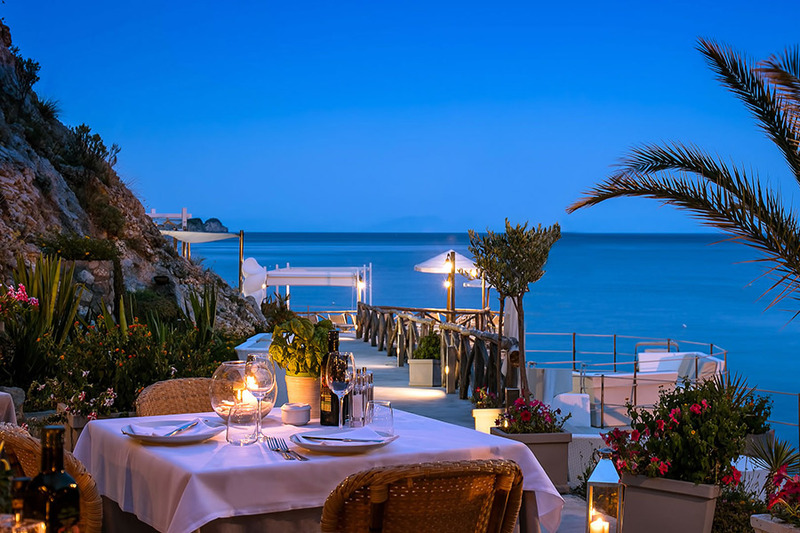 I adore dipping into the waters of the Li Galli isles and disembarking in Capri for a sunset aperitif in the famous piazzetta followed by dinner at La Conca Del Sogno in the enchanting little bay south of Nerano. A lovely view from Un Piano Nel Cielo. Photo courtesy of Casa Angelina. We offer a culinary experience at the restaurant called Our Chef For You, and it takes me back to childhood when my grandmother cooked for me. The authentic flavors of traditional Neapolitan cuisine are hard to find nowadays, even in the most local of the restaurants. 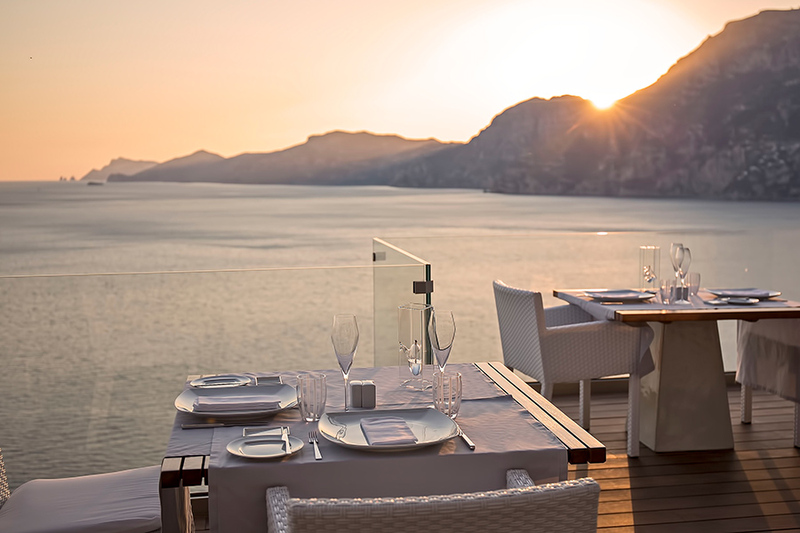 Our menu is served at Un Piano Nel Cielo Restaurant on our top floor, suspended between sky and sea. You cannot leave the Amalfi Coast without trying the refreshing limoncello mojito prepared by Massimo the barman at our Marrakech Bar. It's a refreshing concoction perfect for the dog days of summer. Handmade souvenirs at your feet. Photo courtesy of Sandali Tipici. The Amalfi Coast is famous for its hippie-chic style, a sophisticated, Mediterranean version of the apparel worn by the Flower Power generation, characterized by brightly colored cotton blouses, head scarves, sarongs, and flat handmade sandals, which were inspired by the footwear first made on the island of Capri. 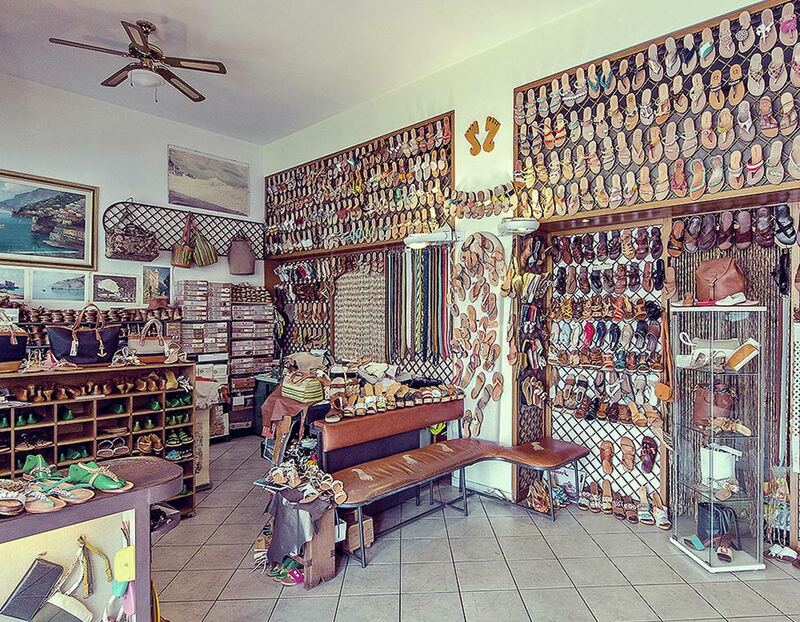 Alfonso Dattilo's legendary shoe shop is the best place to purchase a pair of made-to-measure sandals — without emptying your wallet. To get the complete Positano look, pop by this shop where, since the 1960s, Vito and Brunella have been creating beautiful designs for men, women, and children using the finest linen, chenille, and wool. Annarita is a Sorrento native and DOSM of Casa Angelina. She has experienced firsthand what it is that makes the Amalfi Coast so special for visitors and locals alike. She travels (often) to explore what's new and undiscovered.